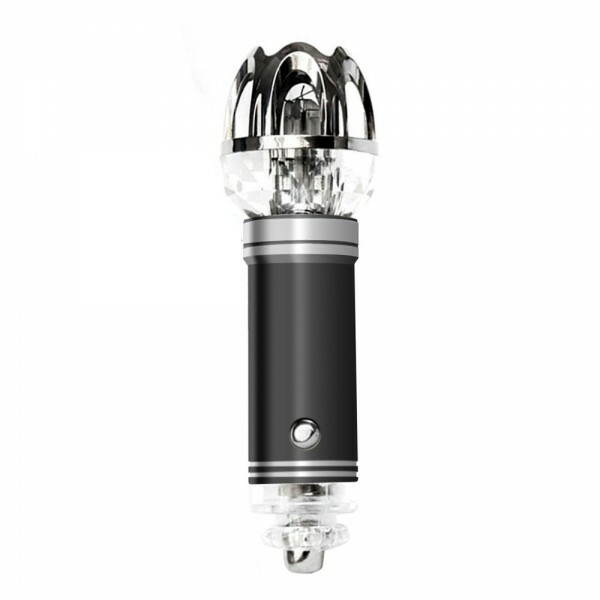 If you want to eliminate impurities in the air (such as pollen, smoke and dust) or want to maintain optimum air quality in your car, you might as well look at this Car Ionizer Air Purifier. Air filters play an important role in improving the air quality in your home and office. The air purifier uses professional filter technology that can efficiently remove impurities in the air so as to help improve the air quality inside your home, office etc. A wise choice for your car! improve the body, and reduce the pressure on the brain. Here comes MECO Car Ionizer Air Purifier. It releases 4.8 million negative ions per cm in your car for massive odor-fighting power. It can kill harmful bacteria, virus and dispel unpleasant odor, remove the PM2.5 particles by generating safe amount of ozone. It can decompose the formaldehyde, benzene, musty, leather smell, animal odor and other harmful gases. Promote the boost metabolism, relieve fatigue, refreshing. Plug the device into the car cigarette lighter or adaptor. The indication light will be on when the device is working. The device will work continuously until it is unplugged. Applicable Occasions For car or RV also can be used in a house office.